You should know that the key equipment that serves the warehouse business or industry with daily operations is the forklift. Today, it has become highly important to ensure warehouses and manufacturing industries have them. 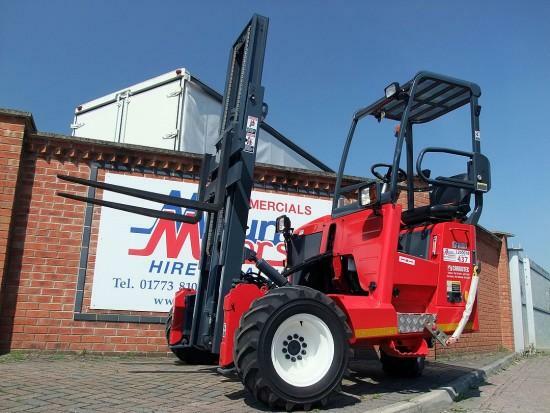 There’s no doubt here, investing in a Moffett lift truck is definitely a worthwhile investment for your stacks, offload, carriers, moving, and heavy material transportation needs, such as bricks, lumber, concrete and others. At Moffett truck, you should know that these machines do not just come at affordable prices, but they also come with various questions that keep people wondering whether their choice was a right one or not. Read on below to get answers to top questions following the use of Moffett’s for sale. If you are searching for the best way to boost productivity, reduce downtime, or cut down costs to keep your workers safe, you need to pay extra attention to the importance of ensuring that your lift truck remains in the best condition. The first tip here is to avoid overloading our lift truck’s fork, or it will weaken and even break. Another important consideration is to avoid modifying your truck unless you consult us. Even if you think that have all it takes to upgrade your lift truck and service it, you should avoid repairing the truck on your own and leave this job best with other experts. What’s the Common Rate of Accidents? Among several other dangerous types of machinery or equipment in workplaces, forklifts also carry the dangerous vehicle title. Every year, thousands of accidents occur, involving lift trucks, and some occur because of a lack in operator training. Other problems occur due to a lack of proper maintenance. At Moffett Truck, we would like to give an idea of the percentage of dangerous risks. Operators are not able to handle the machine and lose control. The chance of this is about 3%. The forks drive off when offloading a dock. This is about 7%. Forklifts fall on the workers accidentally, and this has a 14% chance. The trucks inappropriately lift the forks, as much as 14%. There’s a lack of operator training, (usually 18%). The forks struck workers (18%). The lift truck tips over (the chances of this are about 26%). How Often Should You Invest in Repairs or Buy a New Forklift? Forklifts always come under the harsh effects of abrasion by concrete floors and steel shelving, they may easily crack or bend, which is the main reason why it is important to know that the forklift trucks will need inspections, servicing, and replacement f you wish to maintain efficiency and the safety level. According to OSHA laws, forklifts must need a replacement if they wear off by 10% and they need a regular inspection at least every day and a thorough inspection in six months. If you are searching for the best quality lift trucks and durable models, then you are at the perfect stop. At Moffett Truck, we have reliable and durable Moffett’s in used and brand new options. For further inquiries, please visit us today.